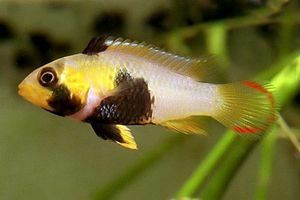 Please copy and paste ' [[Category:Fish - Common names (Freshwater)]] ' into the end of your article to include it in this category. This category lists the common names of freshwater fish. Whilst this name is often made up by resellers and has no scientific merit, it is the name often first associated to the animal by its locals, beginners and the casual aquarist. See here for a list of freshwater fish species names. Pages in category "Fish - Common names (Freshwater)"
The following 200 pages are in this category, out of 3,021 total. This page was last edited on 26 August 2011, at 14:44.